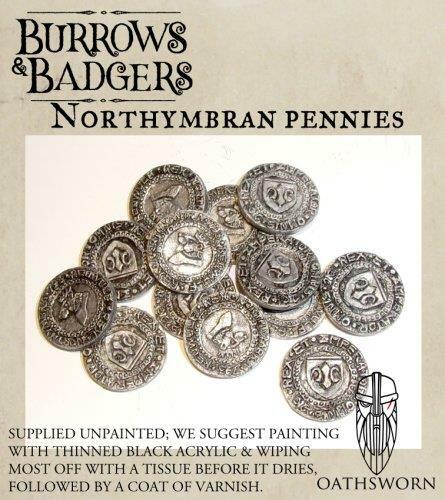 13 Northymbran Pennies, supplied unpainted. Ideal for use as Fate Point counters. We suggest painting with thinned black acrylic & wiping most of it off with tissue before it dries, followed by a coat of varnish when dry.